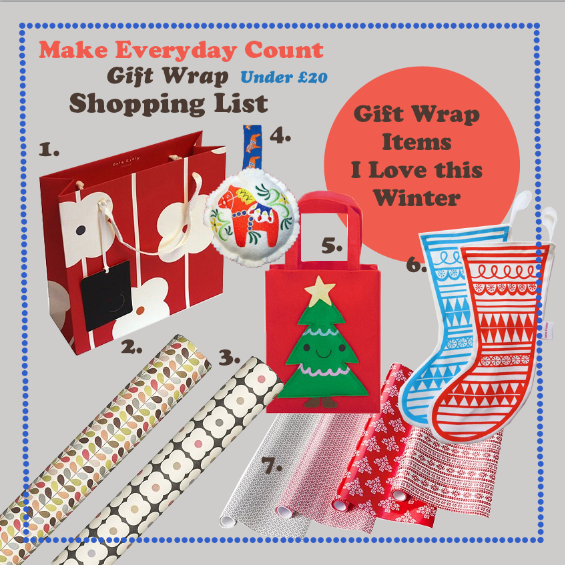 Make Every Day Count: Christmas Vintage Gift Wrap Ideas. You're killing me with this Christmas stuff!! It's rubbed off on me (check out my post today)! ha! it's like yawning..... contagious! Oh I LOVE John lewis' selection of gift wrapping..it is all so gorgeous (and expensive) I can end up spending quite a bit in there!